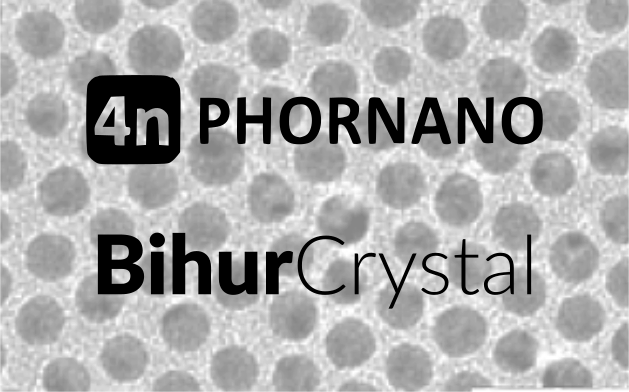 BihurCrystal is very pleased to announce a distribution agreement with PHORNANO. PHORNANO (4n), established in 2016, aims to address the particular needs of the community continuously searching for more effective solutions. 4n’s portfolio extends from designing, manufacturing and providing nanomaterials to implementation of processes involving nanotechnology. Experience of decades in nano- and laser-technology allows 4n to support its partners in realizing their demanding goals. BihurCrystal has been appointed as 4n’s representative for its European clients, and PHORNANO HighQuant NPs are now available online from stock at BihurCrystal. HighQuant nanoparticles unlock strongest localized surface plasmon resonance response in its class. Applications, include biosensing including IR spectroscopy, SERS; biomedical applications including therapy and imaging like Photoacoustic imaging, and optical applications like two photon upconversion, enhanced luminescence, and photovoltaic conversion efficiency. Click here to read more about PHORNANO! Click here to visit the HighQuant Nanoparticle product page!